Muggles, quidditch, eye of newt and toe of frog. Yes, you guessed it. It’s time to dust down that little black number, get a new broom and head to any of Ireland’s fabulous 5 star luxury hotels for some frighteningly good fun filled Halloween treats. Kenmare’s Halloween Howl Festival kicks off on Saturday evening with a bonfire and headless horsemen thundering through the town(an average Saturday night there then). And if you go down to the woods over the weekend, don’t be surprised with the strange happenings in the Haunted Forrest in Reenagross. Rumour has it that there may even be a Witches Gathering Kitchen over the weekend. Be afraid. Very afraid. And when you want to escape from the madness, you can check in at the nearby Sheen Falls and enjoy their mid term break special. 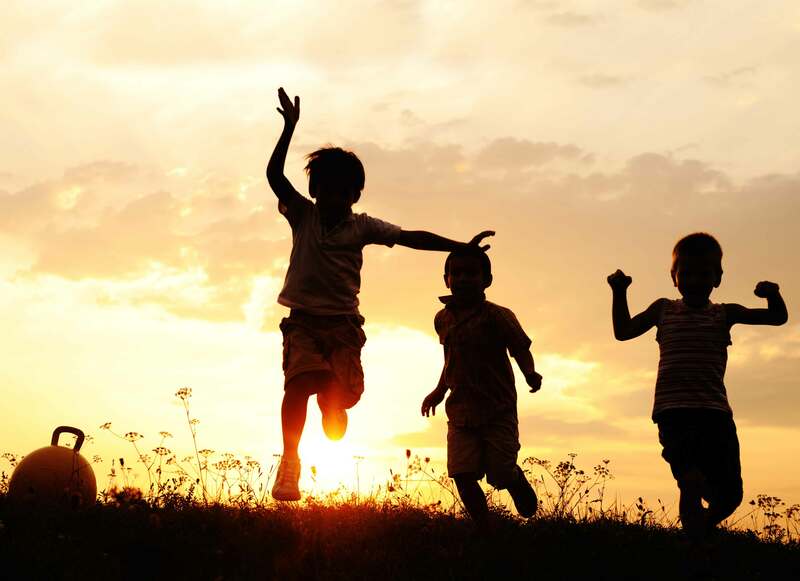 You will be bewitched at Lisloughrey Lodge with their family mid term offer which includes a cruise on Lough Corrib and a Skeleton Kids Club both morning and evening full of Halloween games, Ghost Stories, Scary Movies & trick or treat. The Lodge at Doonbeg hosts Halloween & Mid-Term Breaks. You can enjoy some ghoulish face painting, spooky spells, boiling cauldrons and more (that’s just for the adults). 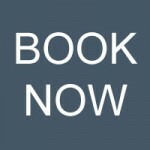 Self- catering facilities are also available. At Castle Leslie, you can enjoy a Village Cottage 5 Night Halloween Break with Halloween Treats. Some nice extras include a family basket with beer & wine and ice cream & chocolate (sharing is caring). And for afters, an open fire beckons with a box of Halloween treats and family flicks to keep them quiet (the adults, that is). 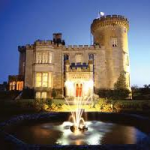 Or you can head to Dromoland Castle for their Midterm Breaks where the little ones can expect to be treated like a Prince or Princesses in their magical kingdom. Even better, kids stay free. Okay, you do have to check them out on the way out. Rosleague Manor have an October bank holiday special which includes complimentary tickets for the Disney-esque Kylemore Abbey & Walled Gardens. 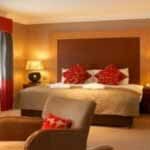 The K Club has a 2 night midterm break offer including dinner in The River Room Restaurant. Children under 6 eat for free. Are we there yet, are we there yet. Adare Manor’s Halloween offer includes a 2 night family break with Fairies and Castles which includes a walk through the enchanted forest where you can explore the fairy houses on the Adare Manor Fairy Trail. Ballygarry House also hosts a Halloween & Midterm Break offer where kids stay free and the package includes family passes to the Aquadome Waterworld & Crazy Cave at Crag Cave. On Halloween night enjoy some scary face painting (Not in the beauty salon), scary story time, hot chocolate & Trick or Treat Goodies. Hayfield Manor have a Halloween Family Special Offer full of bistro fare for the adults and a special spooky dessert on Halloween night for the kids as well as handmade toffee apples, pumpkin carving, scary fireside stories and more. Finally, you can hideaway in Kilronan Castle this Halloween during their two night special or find yourself bewitched at Lisloughrey Lodge. 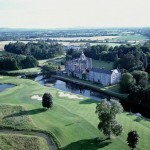 All these and more fantastic fun at any of our 5 star luxury hotels Ireland. Error: Error validating access token: Session has expired on Monday, 22-Apr-19 15:56:05 PDT. The current time is Tuesday, 23-Apr-19 09:11:39 PDT.